Churchill has been re-appointed as the cleaning contractor at Caldicot School in Monmouthshire. 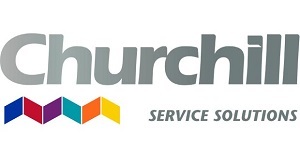 The new contract sees Churchill providing cleaning services for a further three years. The company’s relationship with Caldicot School began with the award of the original contract in 2013 when the School still occupied older premises. Following construction of a brand new £36.5m School in 2017, Churchill was retained pending the outcome of a formal and comprehensive tender process for cleaning services in 2018.